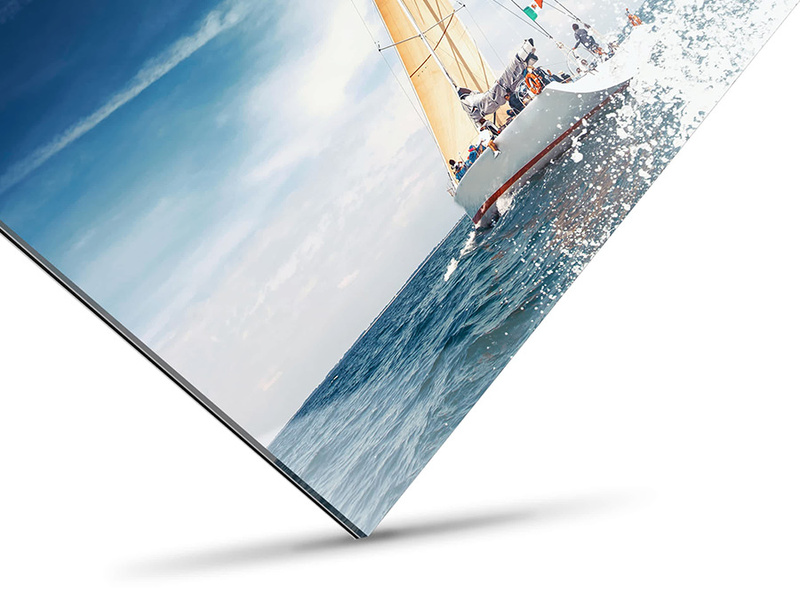 With their stable aluminium Dibond backing and timeless look, glossy acrylic photo prints are perfect for any type of display, and they meet even the highest expectations. Your photo print is exposed using the latest laser technology and then traditionally developed. We only use high-grade, brand-name papers with guaranteed vivid colour. With 2 mm thick acrylic, you can choose one of three different paper options for your Original Photo Print Under Acrylic Glass. Acrylic glass is light, shatterproof and resistant to temperature fluctuations. 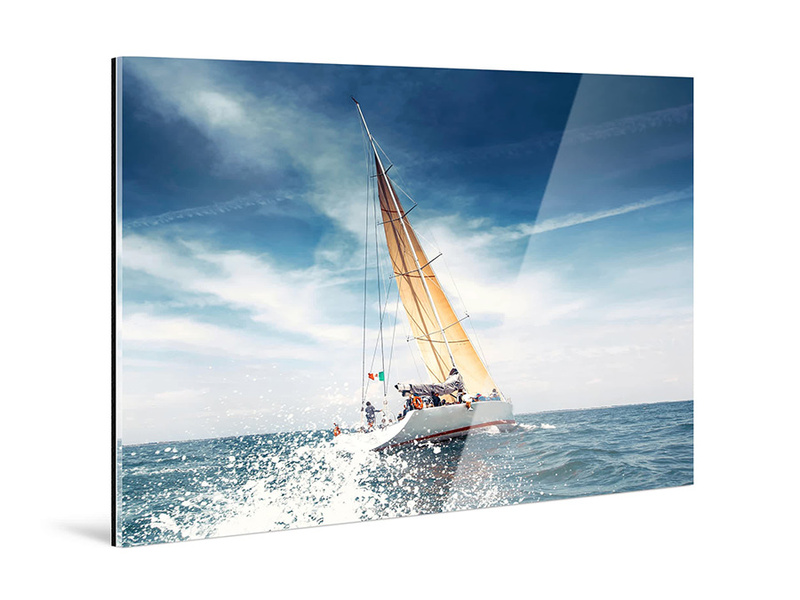 The properties of your photo print are intensified when it is mounted under glossy acrylic glass, which highlights the vivid colour and enhances the impression of depth. 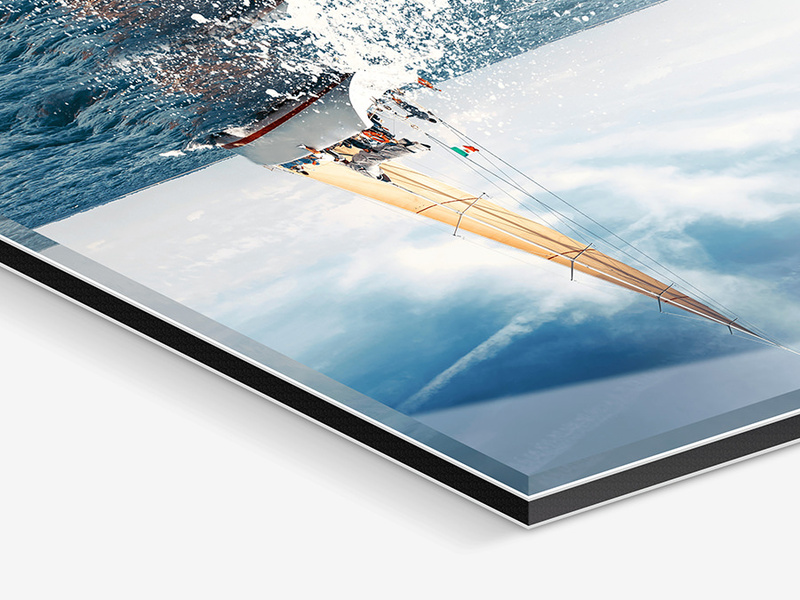 Choose the perfect glass thickness for your acrylic print. We recommend our gallery standard option. Your Original Photo Print Under Acrylic Glass will be made in the format of your choice - and in the exact size you specify. 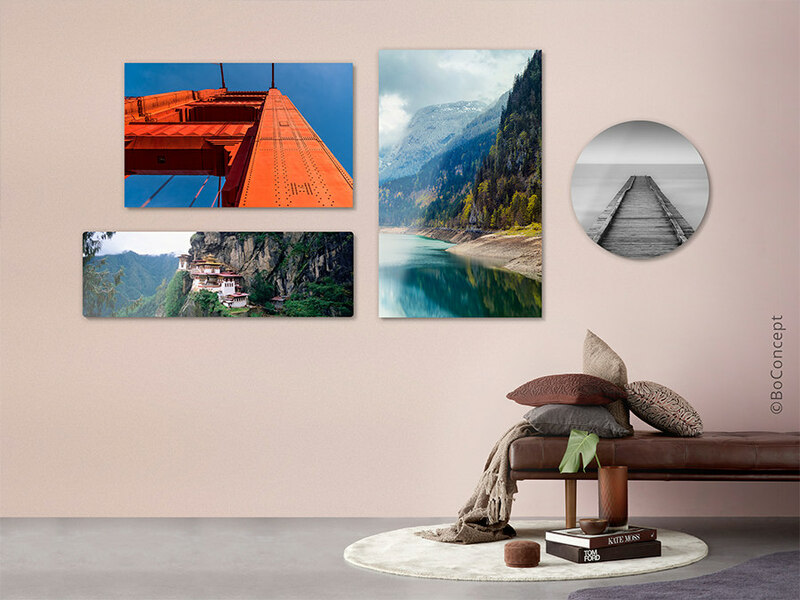 Choose the size of your photo behind acrylic: We offer standard formats from mini to extra-large with variable corner shapes. Or create your picture in a special panoramic or round format. Our Photo Prints Under Acrylic Glass arrive ready to hang with wall-mounts attached to the Dibond backing. However, some pictures or rooms simply demand to be framed! We offer over 100 frame models in various materials and colours. Our frames also arrive ready to hang, in either landscape or portrait orientation. We select and attach different hanging systems depending on the size. This is included in the price. Of course, you can also order your image without any picture hanging hardware attached. All of our hanging systems are compatible with gallery rails. Photos under acrylic glass are nothing new. Traditionally exposed photo prints under acrylic glass, however, are rare. WhiteWall is happy to offer this traditional picture type in various versions. Simply because it looks great. And because we guarantee 75 years of colour brilliance for our original photo prints. Let’s not forget to mention that your picture under acrylic glass is additionally protected by a triple-layer aluminium Dibond backing plate and the edges are sealed with permanently elastic silicone. Our products are durable and made to last a lifetime. Experience the outstanding overall quality that has earned us over 100 awards and recommendations. Fuji Crystal DP II photo paper under glossy acrylic glass is the perfect combination for colourful images of the Carnival in Rio, springtime on the island of Madeira or an afternoon with the kids in the ball pit. Landscapes, skylines or macro images of shimmering insects – everything can and should benefit from a laminate under acrylic glass. The enhanced colour brilliance and depth of field make the viewer feel like he is part of the action, as if the object was close enough to touch. Some images, however, need subtlety. Their content must be presented with understated clarity. For these kinds of objects, a matt acrylic finish is better suited. Depth of field, colour brilliance and contrasts remain equally strong under matt acrylic glass, the only difference is that the overall visual result is less “loud”. The picture “shines” in the background if you like – its appeal is highlighted by understatement. Laminates under glossy acrylic glass might catch reflections from a window or skylight, which could detract from the image itself. Matt acrylic glass absorbs the light and prevents reflection. Not everyone is a professional photographer or really wants to present his snapshots as they would be seen in a gallery. And that is perfectly alright. We want hobby photographers and semi-professionals to be able to afford presenting their best work under acrylic glass as well; that is why we offer not only the 4 mm and 6 mm thick acrylic, but also a more affordable 2 mm version. It looks classy and professional and offers some of the thicker versions’ depth of field and colour brilliance as well. It isn’t quite high-end but still impressive, as it nevertheless is high quality. Be brave: Proudly present your best pictures in any size and format to the people that matter. As a traditional wall-hung picture with pre-integrated mounting in the frame or with our practical stand. With our 25 mm acrylic block, you create free-standing objects of art with your laminated images. Make the most of your treasured memories – and share them with those you love.